Photo courtesy of Lola's Big Adventure! 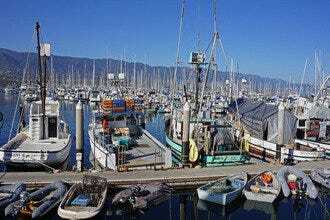 Best Sightseeing Attractions in Santa Barbara: Fun Tours and More! You're ready for a busy day in Santa Barbara. 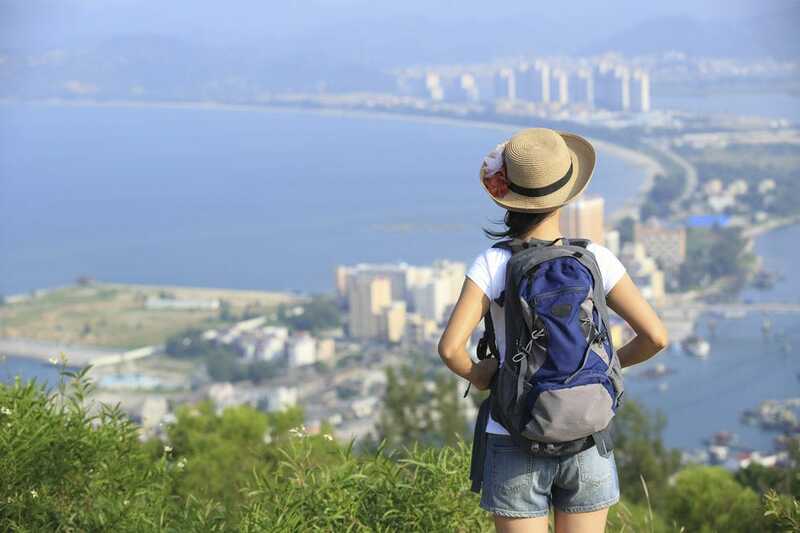 You've packed your sunblock, your swimsuit and your appetite, but what about your sea legs and your walking shoes? You're going to need them if you want to explore Santa Barbara's legendary sights the right way. Whether you feel like boarding a boat or guiding yourself, this list has all the hot spots you won't want to miss... and the best ways to see them, too. 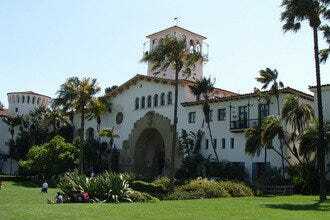 Iconic Santa Barbara sightseeing spots include the Santa Barbara Mission and Stearns Wharf. The Urban Wine Trail is a more recent (but no less popular) addition to the local landscape that is suitable for the over-21 crowd. Organized tours provide some of the best means of discovering these sites - and many others - while you're in town. 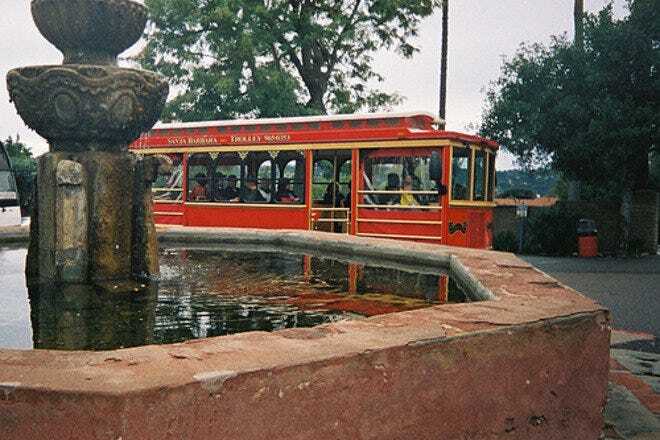 Santa Barbara Trolley offers fully-narrated tours that are fun for all ages. The Red Tile Walking Tour is a self-guided tour that takes you through the heart of downtown. You can even take to the high seas and travel from the wharf to the harbor aboard the Lil' Toot, Santa Barbara's very own water taxi. One last tip: if you're pressed for time, buy a ticket for the Land Shark. This aquatic vessel offers a funny and informative 90-minute land and sea tour that covers the best of Santa Barbara's sights in record time! 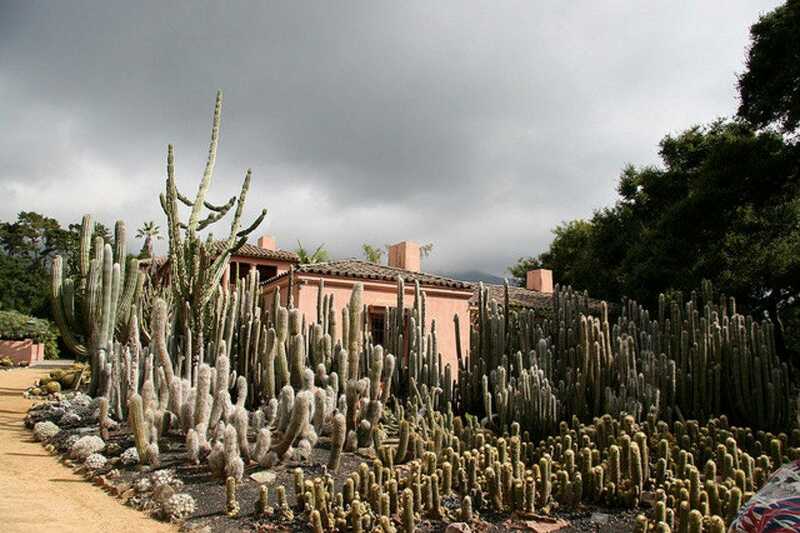 Ideal for city newcomers and visitors who want a quick overview, this intriguing self-guided walking tour hits many of Santa Barbara's main cultural and historical attractions. The route explores approximately twelve blocks of urban territory. Maps are available at the visitors center. 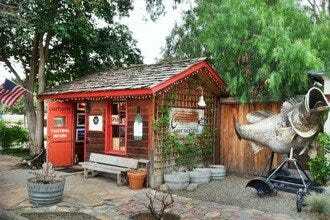 This tour includes 17 stops and 22 historic adobe buildings. The route can be easily traversed in an hour or so, but you should allow additional time for taking photographs, admiring the landscape and making stops for coffee or lunch. A downloadable podcast, Beyond The Rooftops narrated by John Hurley, is available for those desiring additional information about each stop. Travel the sights of Santa Barbara in one of Santa Barbara Trolley's nostalgic, open-air trolley cars. Offering 90-minute, fully-narrated tours, Santa Barbara Trolley is a fun and affordable excursion that packs in a lot of local color. 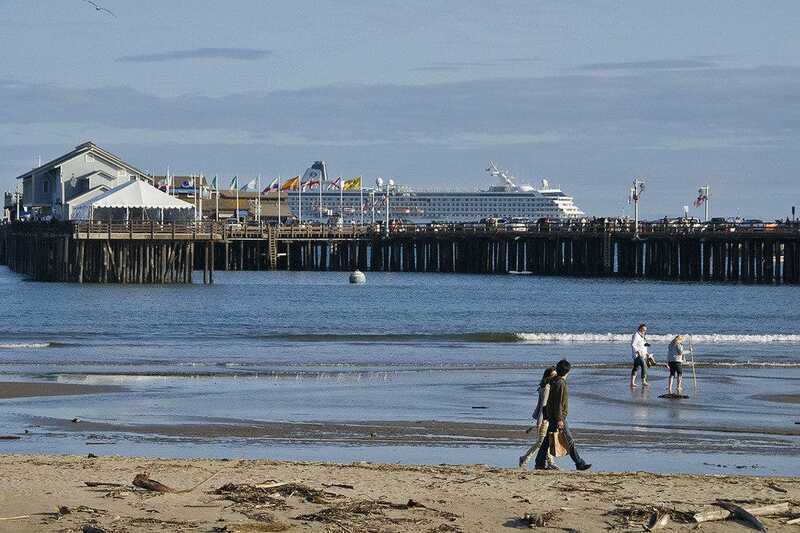 Tour guides share their knowledge about popular landmarks, like the Santa Barbara Harbor and Stearns Wharf. The open sides of the trolleys allow you to easily capture your favorite scened on camera. Tour prices are good for the entire day of purchase, so you can hop off at any site that interests you and reboard later in the day. 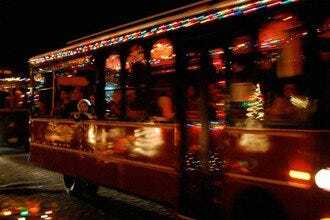 Santa Barbara Trolley can also be chartered for private parties, weddings and wine tasting tours. A joint effort of Franciscan vision and Chumash Indian labor, this graceful structure was founded by Franciscan Friar Fermin de Lasuen on the Feast of St. Barbara, December 4th, 1786. Architectural details were reworked until the 1830s. 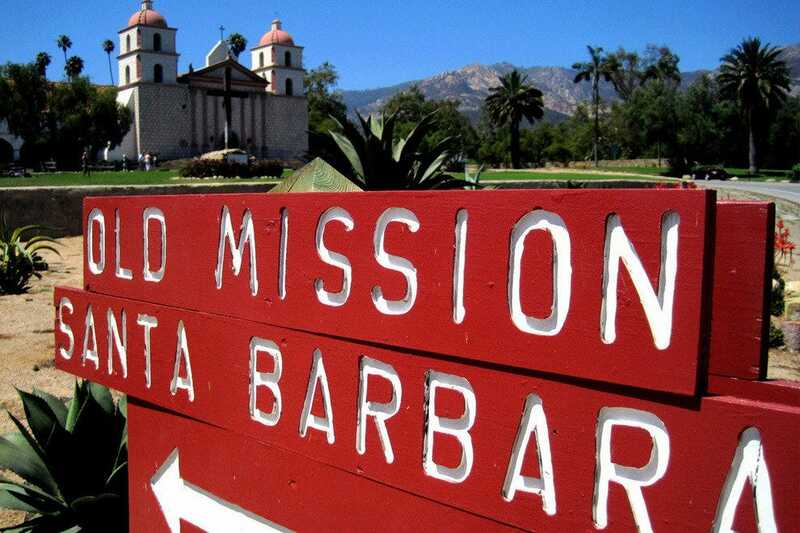 Referred to as "Queen of the Missions" for its graceful beauty, the Old Mission Santa Barbara is the tenth of the 21 missions built in California. It features twin bell towers and affords outstanding views of the city. Daily tours are available, and remnants of early mission structures (mill, reservoir, kiln, etc.) can also be seen, along with sacred artifacts. An onsite gift shop features jewelry, statues, religious artifacts and more. Don't miss the beautiful rose garden across the way! Built in 1872 to handle incoming freight and passengers, Stearns Wharf is one of the West Coast's oldest wooden piers. These days, following renovations in 1982, the wharf is a magnet for tourists, who come to gaze out on the Channel and shop its various venues. Eateries also share space, and you'll even catch sight of locals plying the waters for fish, along with boats coming in to unload the day's successes. At times in its past, the wharf has been used by the Navy (during WWII) and by gambling companies. Make sure to see the dolphin fountain that marks the entrance. If you don't take a picture of the dolphin statue, you haven't really been to Santa Barbara. 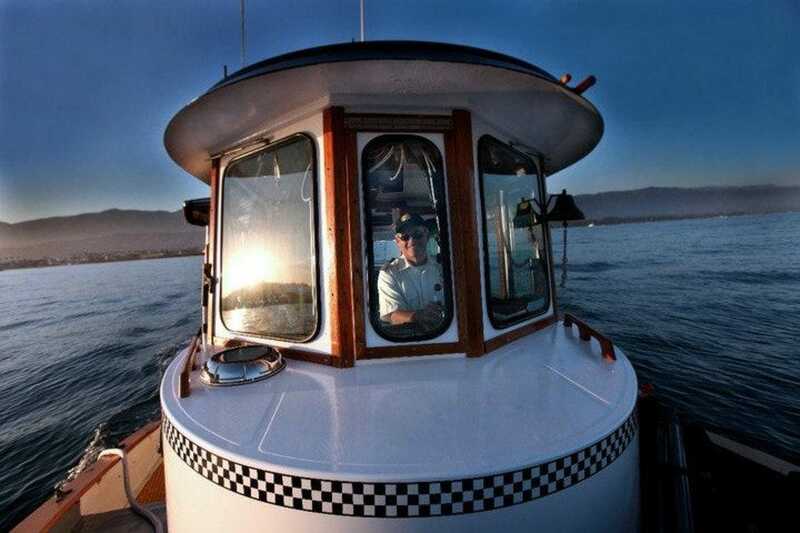 Travel Santa Barbara's stunning waterfront aboard the Lil' Toot, Santa Barbara Water Taxi's charming yellow boat. Offering daytime cruises, sunsets cruises and transportation between Stearns Wharf and the Santa Barbara Harbor every half hour, the Lil' Toot is the happiest vessel at sea. Bubbles float out of the Lil' Toot's smokestack and a smile is painted on her bow. Surfboards, strollers, bikes and well-behaved dogs are allowed to board the Lil' Toot as well. Some voyages even include a special detour that allows passengers to see local harbor seals right out their window! Walk over and board from any of Santa Barbara's nearby beachfront hotels. The stretch of ocean between Santa Barbara's southern-facing mainland and the offshore Channel Islands is a favorite with migrating whales. This natural channel is home to more than 26 varieties of migrating whales and dolphins throughout the year. In February, March and April, head out to sea to spot majestic California gray whales heading north to their Alaskan feeding grounds. 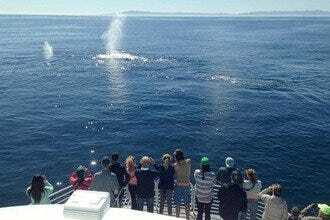 From May to September, krill attracts humpbacks and blue whales to the Santa Barbara Channel. On a typical tour you're also likely to see porpoises, seals and dolphins. Local tour companies, like the Condor Express, can be found at Stearns Wharf and along Cabrillo Boulevard. 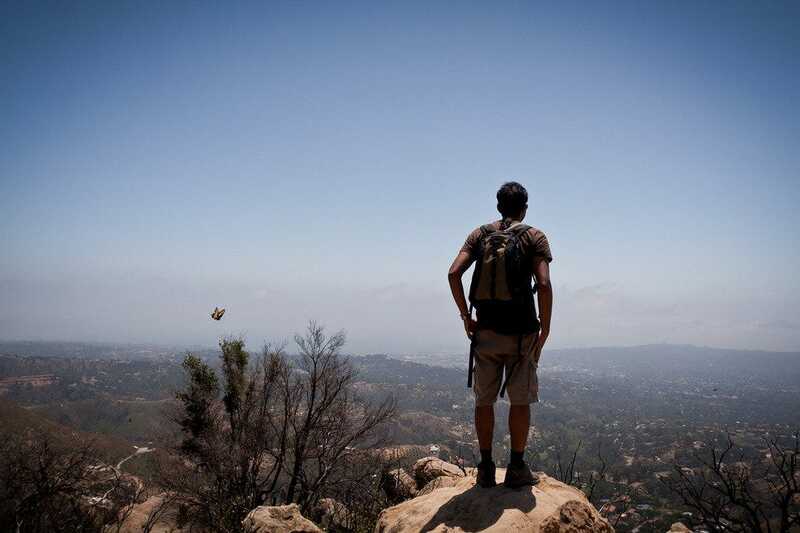 One of the most popular hiking destinations in the Santa Barbara area, Inspiration Point offers a scenic view of Santa Barbara, the Pacific Ocean and the Channel Islands beyond. Although there are several place to pick up the trail, the most common route is to start on Tunnel Road just past the Santa Barbara Mission. From there, it is about a three and a half mile hike that will take between 1 to 2 hours. The trail is dog friendly. Bring some water and some sunblock. Free parking in the surrounding neighborhoods, but it can be pretty packed on weekends. Designed by eccentric Ganna Walska, a Polish opera singer, this estate garden is the product of decades of effort and attention. Fantastical vignettes feature a wealth of unusual plants, including cycads, which were present in the era of the dinosaur. Other gardens are devoted to lotuses, ferns, succulents, bromeliads, aloes and topiaries. 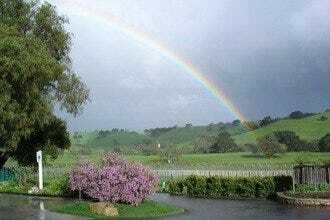 There are also orchards, water gardens and a garden populated exclusively by plants that are (varying shades of) blue! Regular group tours are suitable for children ages 10 and up; family tours are available for younger children. Gifts and exclusive souvenirs can be found in Lotusland's Garden Shop. Advance reservations are required - call or email as soon as possible to schedule your visit. Comprised of 26 independent wineries - with more cropping up all the time - the Santa Barbara Urban Wine Trail brings all the flavors of Wine Country to urban Santa Barbara, just blocks from downtown and the beach. 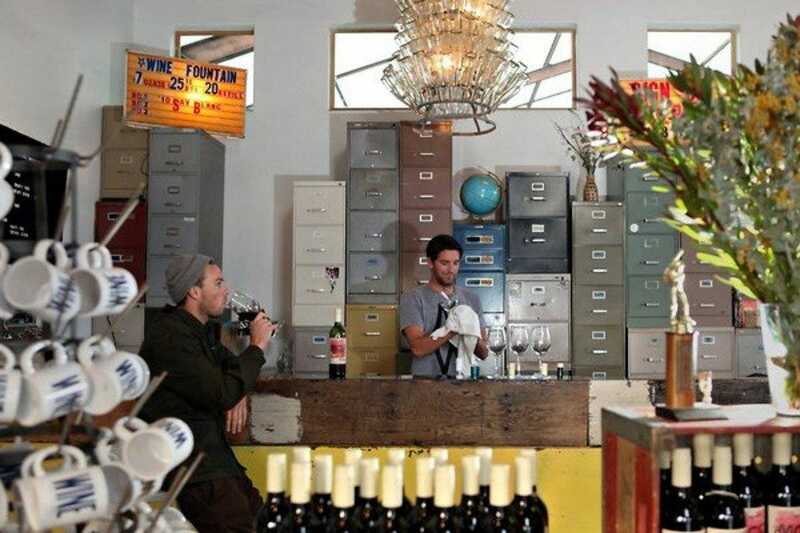 The Urban Wine Trail is the perfect daytime adventure for wine enthusiasts. Whether you're a tasting novice or an aficionado, you will enjoy this opportunity to experience the great wines crafted from Santa Barbara County grapes. And the best part? There is no right way to travel this trail, meaning you can pick up anywhere, taste anything and stop when you've had enough. Many of the wineries on the Urban Wine Trail can also accommodate your special events. See the Urban Wine Trail website for more details. LAND SHARK! 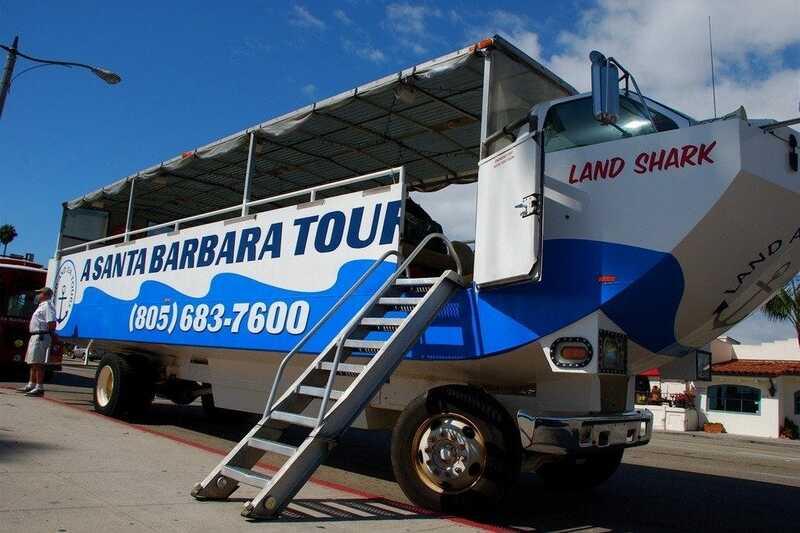 This is the most fun tour in Santa Barbara, primarily because it takes place on a huge open truck type vehicle that, halfway through the 90-minute tour, turns into a boat and launches into the sea! Yes, Land and Sea Tours offers an amphibious tour with an ambitious goal: to show you the best sights Santa Barbara has to offer, both on and off the water. As an added bonus, your guides narrating the informative tour are both hilarious and entertaining. Kids love it; adults love it; even locals love it! The Land Shark departs daily from the entrance to Stearns Wharf. Visit their website for the most updated tour schedules.